The bedroom is the most important room in a house or an apartment. It’s only natural to keep it clean and organized. Nobody wants to come home to a bedroom filled with an unmade bed, overflowing drawers, or shoes and clothes all over the place. It doesn’t matter if you have a small bedroom with too many things or a large bedroom with not so many things. The key is to keep things arranged and organized to your benefit. That’s exactly why we are here. We’re here to help make your life a little less messy with these 14 smart and simple tips. Grab a pen and paper, and get ready to note down some tips that are going to change your life for the better! The closet is the main part of your bedroom. If your closet is in a state of disarray, then we recommend starting from there. Here are a few ideas you can start on right away! This is an essential part of organizing your closet. We all have a tendency to keep some clothes we never actually wear. We hope we will, we plan wearing it in our head, and finally, convince ourselves that we need it. That’s the wrong approach. The first and foremost thing you need to do is get rid of these type of clothing right away. We both know they’re never going to be used by you. If it’s something you haven’t worn for a few years, be it sweaters or a pair of pants, then it’s time to get rid of it. Give them away to a friend or family or better yet, donate it to charity. You’ll be helping yourself and someone in need. Many people get confused as to what they should hang and what they should keep folded. Case in point, sweaters. Hanging sweaters is not the correct way to save space, folding them is. Hanging them can cause them to snag, ruin the fabric or cause threads to come out in different places. Instead, fold them up neatly and stack them. However, be careful not to make the pile of stacks too high. For the hanging part, you need to develop a system that will work best for you. Separate dresses, pants, and hang them by category. You can go even further by hanging them in terms of occasion, season, and etc. You also need good hangers that can hold pants as well as shirts. The types that are no-slip and also without the wires are recommended by many. This is an optional tip. For those who are tedious and don’t like to waste extra time finding what they want. Color coding can be time-consuming, but it’s seriously worth it at the end of the day. You’ll find things way easier than before. Not to mention, it also looks nice and pleases the eyes. If you already store bags on shelves, a smart tip would be to use a clothing hook rack for hanging bags. You can also make use old shower hooks or clothing hangers to hang your bags. They’re easier to clean, unlike shelves. You need to take down all the bags and dust them off. Whereas, using hooks you can do some cleaning every week without wasting much time. If you have plenty of drawer space but limited hanging space, you can put your clothes in them instead. It’s easier to categorize by using drawers. Have separate drawers for separate things and your life will become less messy. Fold them up neatly and try to use every inch of space. Use horizontal angles for pants and vertical for shirts or dresses. Always use a separate drawer to keep your socks, underwears, and belts in. never mix them up with clothes. That’s a bad idea and you’ll end up taking out all the clothes to find one piece of a missing sock. 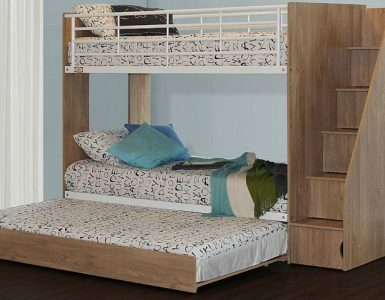 There are many beds that come with extra storage underneath them. They can help you out with maintaining enough space to make your bedroom look organized and tidy. Here are a few ways you can do just that! If you have the budget to include your own customized shoe storage, go for it! The idea is to make use of it in a smart way. If you want to put your shoes up on the shelf, create enough space to hold all your shoes. This can clear away floor space and make your bedroom look spacious. However, it’s not really a good idea to place shoes on the floor if you have too many. Get a separate cabinet for them instead. You can also hang your boots using pant hangers. It’s an uncommon way, but whatever helps to make your bedroom look organized works! Play around with ideas, and get creative. A separate cabinet to just hold your shoes is never a bad idea. Other than a separate cabinet, there are many beds that allow you to store shoes under the bed. They come with separate drawers or they’re just empty enough for you to store your shoe box in. You can use baskets, bags, boxes, and cubbies as well. It’s not just shoes you can store. You can store non-essential things, bed linens, or use that space to secretly hide your stash of junk food. Ideas and possibilities are endless. Storage space under the bed help keeps things tidy. It’s easy to access and gives your room a nice, clean look. 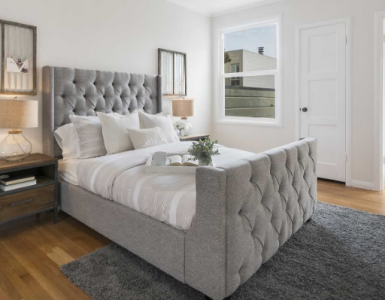 Now that we’re done with under the bed storage ideas, let’s talk about the other alternatives – headboards and footboards. They can be open and have shelves on it, to keep your essentials in it. Small jewelry, watches, earrings, books, lamps, framed photos, or your bottle of water. Or, they can be closed as well, like a hidden compartment only you know exists. You can repurpose old drawers and turn them into shelves and make your own headboard out of it. Footboards are where you can be creative. The style can be like cubbies, you can use baskets, and even a chest. All of these are amazing options that let you store extra blankets, linens, or other wardrobe items. If you already have a chest, utilize it to the fullest! The more storage space you have, the better! Also, let’s not forget the use of a nightstand. If you’re a book lover and you’re stacking books by your bed, use your nightstand instead. Avoid creating clutter around your bed. Nightstands make bedrooms have that complete look. Install a bedside lamp on it for late night reading, or build drawers to store your books, journals, pens, and etc inside them. You can also place your smartphone on it when it’s charging, have an alarm clock on it, or just keep it simple. Small details such as jewelry space, desks, or wall shelves can make a huge impact on the organizing of your bedroom. Not only will it look attractive and flawless, but it will also look smart. Here are a few tips you can use to spice up the small details in your bedroom. There are many DIY jewelry display videos already available on the internet. If you’re not using them to your benefit, we’d suggest you get right to it! Displaying jewelry can create an elegant vibe in the bedroom. However, it’s not just stacking a fair amount of jewelry on top of each other. There’s an art to it, be creative about it! Make use of patterned shelves for placing rings and hanging lockets and necklaces. You can use hooks or an old dish as well. Wire mesh, cones, towers, and rods come in handy for stacking bangles, bracelets. It can also hold your earrings, be it studs or dangles. You’ll find things more quickly and it will also keep your jewelry safe and clean. Not to mention, your bedroom will look cluttered. Having a workspace or a vanity inside the bedroom may sound like it’s taking up space. But, in reality, it doesn’t have to be that way if you’re smart about it. Make your own vintage desk or vanity. Repurpose old furniture and turn it into a desk or an armoire. You can keep your perfume, make-up, and accessories on it as well. Build in drawers and store brushes, lotion, hair sprays and etc inside them. If you need a workspace, you can use your nightstand or include a small, minimalist desk on one side of the bedroom. Add a chair and keep the desk clean. It’s all about creating an aesthetic vibe around the place and keeping things organized with minimum details. High wall shelves or wall cubbies can be great to store away favorite books, old toys, or things you don’t want anybody else to have easy access to. They can make your bedroom look modern and chic, and also save a lot of floor space as well. They’re perfect for giving your room the minimalist, spacious and an organized vibe. If you don’t have either of them, invest in one or make one yourself using old furniture or old drawers. There are many videos online you can take help from, take them and create your own perfect bedroom! If you don’t have a designated space for storing laundry, invest in a laundry hamper. They’ll clear up dirty laundry from the floors, bed, and chairs. You can also use a small basket, or make one up yourself using some fabric and an embroidery hoop. Most laundry hampers come with a lid, which is great for hiding the pile of clothes that you’ll throw in it. They’ll save space and plenty of mess as well. Hooks are not just for hanging bags, boots, or clothes in. you can hang your beanies, scarves, small framed photos, stuffed toys or anything else you can think of. The possibilities are endless if you use them wisely. Additionally, if you’re looking for an extra bit of space, invest in a coat rack. They’re great for holding jackets and the heavy winter clothes you’ll take out during the season. Make the best out of your space and keep things balanced and organized for your benefit! Your bedroom is where you come to take a load off after a long day of work. It’s a place of resting and reflection. Naturally, it’s imperative you keep things organized and arranged for your supreme benefit. We hope our tips come in handy and help you sort out your messy bedroom once and for all. It’s important to remember when organizing that to make a habit out of it. You don’t have to spend a heavy amount of money to keep your bedroom organized and beautiful. All you need is the internet and some smart ideas!